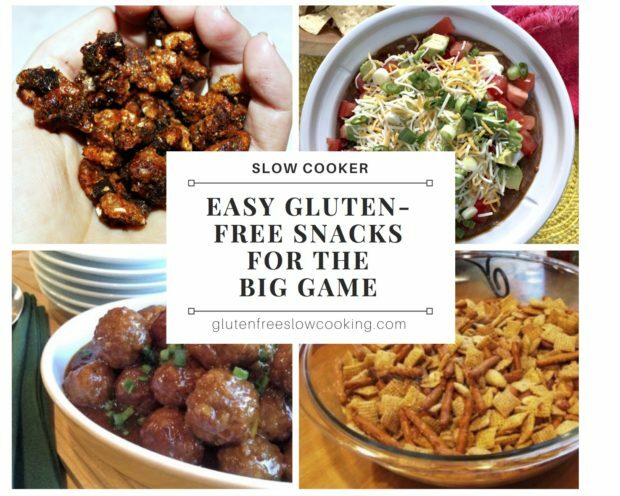 These Easy Gluten-Free Snacks fit the bill for proper football-viewing food: they’re crave-able, delicious and easy-to-eat while sitting on the couch. Our snacks also happen to be gluten-free and basically cook themselves in your slow cooker while you attend to other party-prep details. This is a collection of some of our favorite snack foods from our site—all in one handy post. Take your pick or make a few—your gluten-sensitive guests will thank you and everyone will enjoy them. In fact, nobody will be able to tell that these are gluten-free snacks, so make sure your gluten-free guests get some of this stuff before it’s all gone!